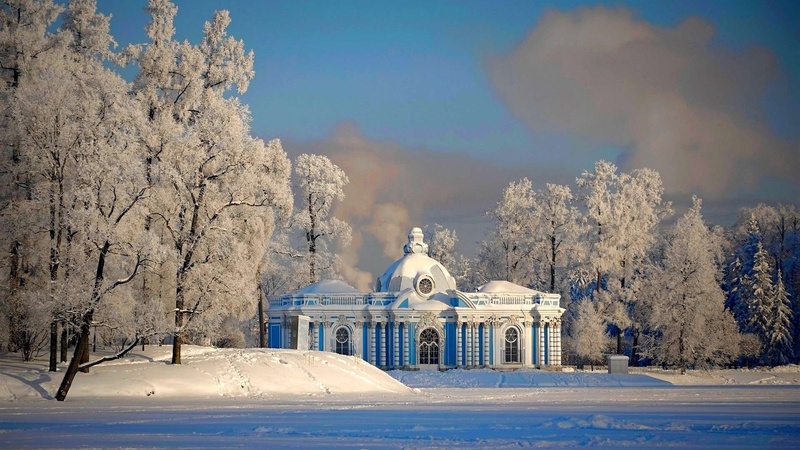 Russian winter is one of the most beautiful natural wonders of the world. The snowy blanket softly lies on the ground, trees are dressed into solemn white elegant attire. The whole picture rennovates in winter. Everything becomes clean, white and fragile. Fluffy snowflakes flying from the sky softly touch people’s faces. Winter frost gives us an attractive blush on our cheeks. The air is purified with the fresh snow. 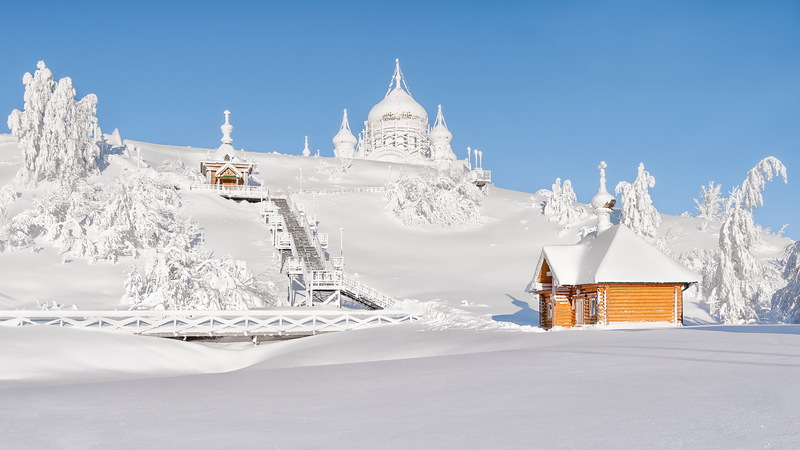 Winter is one of the most stunning natural miracles that we are able to observe every year in Russia. Original Russian church domes shine with joyfully as if winking to the sun which sends its rays to lighten the beauty of Russian winter world. Everything is celebrating. Though they say in winter Nature falls asleep, just have a look. It’s rather a dream than a sleep. A dream which happens before our eyes and the sleep that involves us into the beatuful winter dream of Russia.